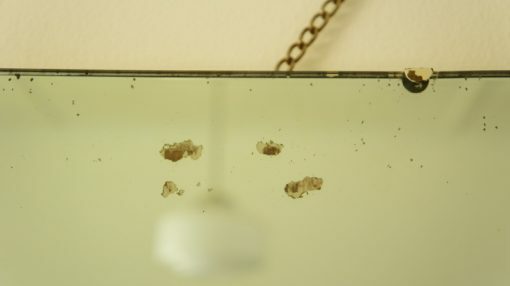 I think this is probably the largest mirror I’ve seen to come off a dressing table! 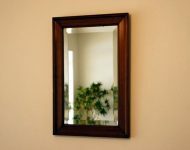 Not only is it quite long – long enough to give you a good view of your morning work outfit or evening dinner dress – but it’s also a bit wider than you’d expect it to be. When I bought it someone had already added the chain for it to hang on – personally I’d be tempted to remove the chain (or at least shorten it so that it’s out of sight), and just add a hook for it to hang on. 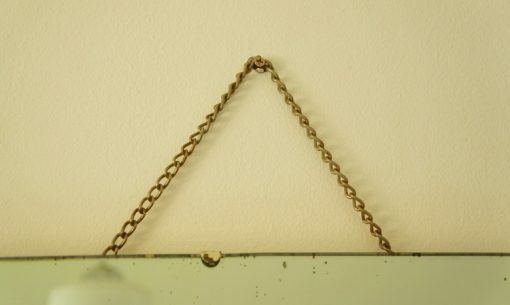 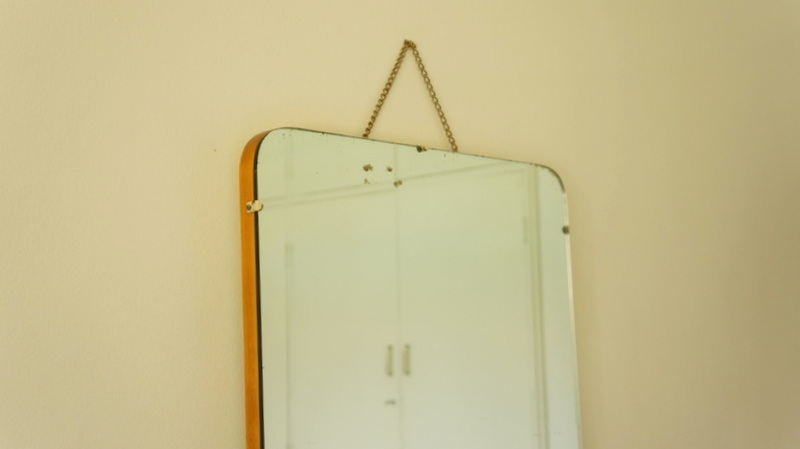 I think chains are better suited to slightly more ornate mirrors, and that by removing the chain you would highlight the simplicity of the shape of this great mirror! 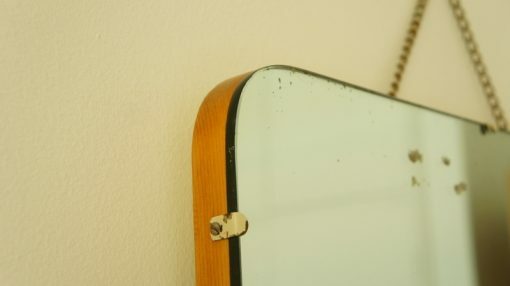 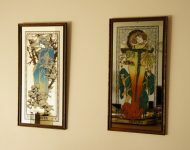 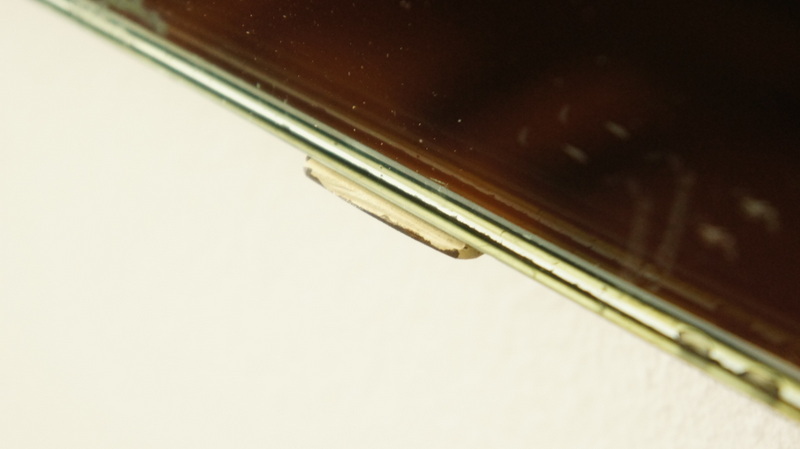 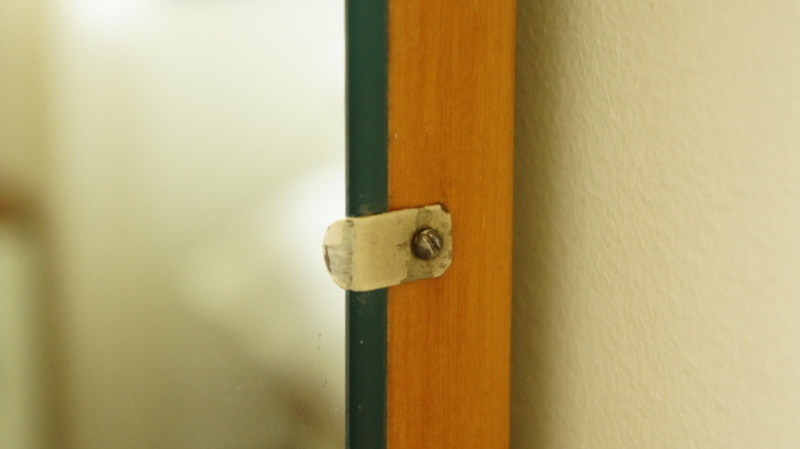 The sides and back of the mirror have been painted cream – we stripped the sides so that now the wood shows through, but left the old painted mirror clips as they were when we found them, with their slightly peeling paint – I think the contrast works well. 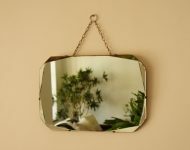 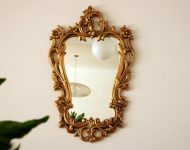 Despite the rather plain shape, this is quite an imposing mirror, so you might need a bit of space to show it off properly. 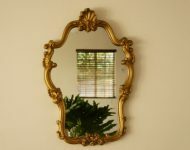 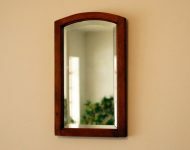 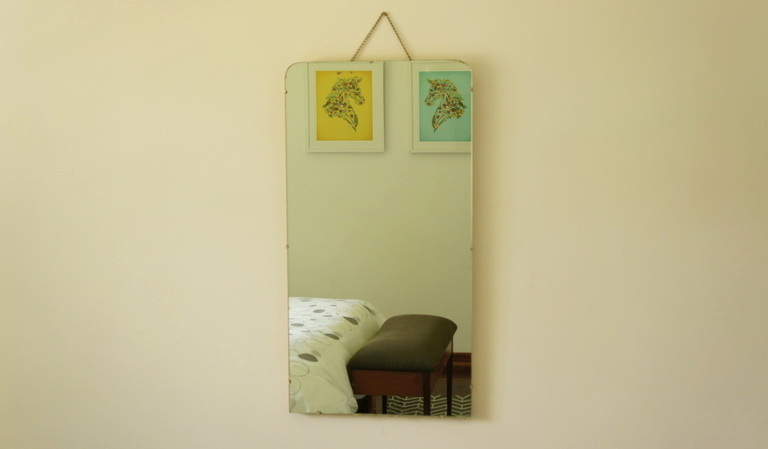 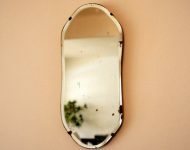 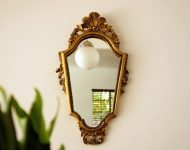 But if you have the space, then wow, what a mirror – it has everything going for it: good wooden backing, nice generous proprtions, and a fabulous shape, with just a hint of retro about it – what more could you ask for?